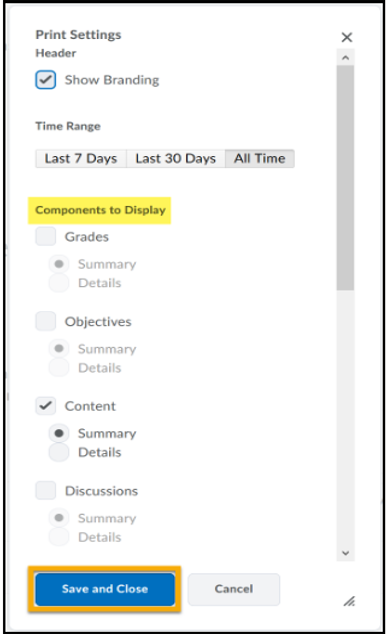 Information includes log-in history, completion dates of activities and assessments, and which content modules have or haven't been viewed. At the start of the semester there won't be much information, but you should check your progress from time to time as the semester progresses. Select Class Progress from the navbar. Choosing Content in the left-hand column opens Progress I. 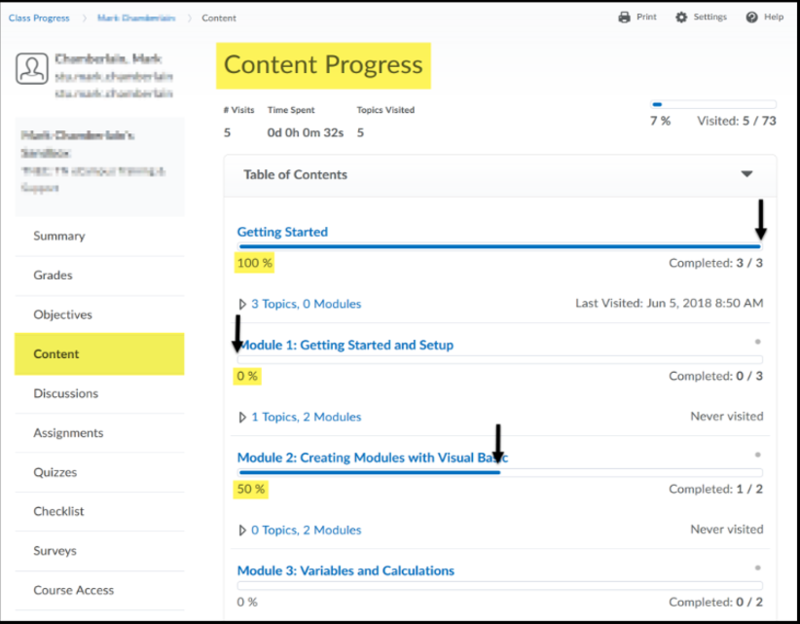 Notice progress is displayed by percentage and graphically. 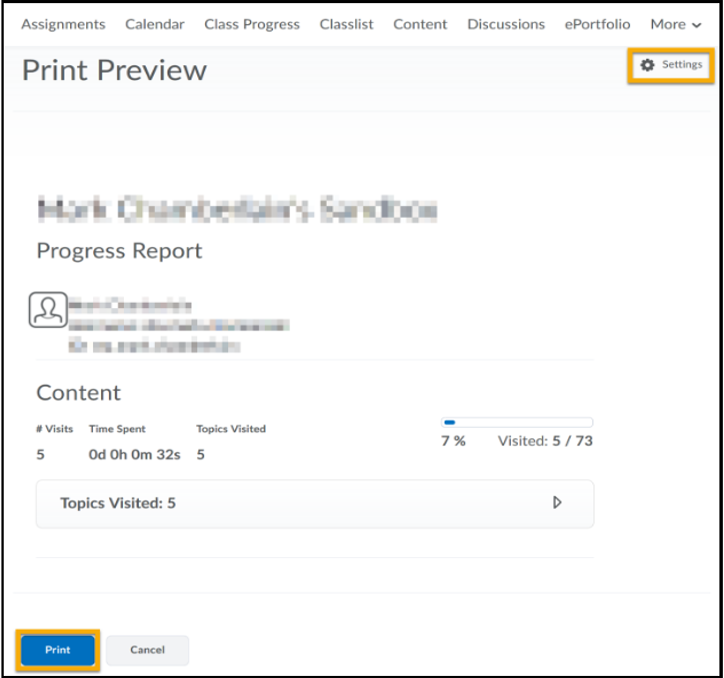 Step 2: Choose Settings to edit the default progress components to print or choose Print to finish. Step 3: Choose the components to print and then Save and Close. Step 4: Choose Print to print the custom choices.